Phoenix Suns rookie center has high hopes of making the All-Star team during his rookie season. The Phoenix Suns have not had an All-Star since 2011-12 and only 45 rookies have ever been selected to the All-Star game. Deandre Ayton has never been shy of expressing his ambitions. While during his his time as a member of the Arizona Wildcats, he let it be known that he would be the No. 1 pick in the 2018 NBA Draft. While on his way to the number one pick, he would win the 2017-18 Pac-12 Conference Player of the Year Award, the 2017-18 Karl Malone Award and was a member of the 2017-2018 Consensus All-American 1st Team. Now as a member of the Phoenix Suns, he has set himself a new goal for his rookie season. The Phoenix Suns have not had an All-Star since 2011-12 when Steve Nash when he represented the Suns in Orlando. Devin Booker has yet to make an All-Star appearance for the Suns also. In the history of the All-Star game, only 45 rookies have ever been selected to the All-Star team. Griffin was the last rookie to make the team in 2011. However, he missed what would have been his rookie season with a knee injury. If Ayton is successful, he would follow the likes of Yao Ming, Tim Duncan, Shaquille O'Neal, Dikembe Mutombo, Patrick Ewing and Hakeem Olajuwon as some of the best rookie centers to make the All-Star team. Aston would have to out perform the likes of Joel Embiid, Karl-Anthony Towns, Al Horford and Andre Drummond to even earn consideration. Clint Capela, Steven Adams, DeAndre Jordan, Nikola Jokic, Hassan Whiteside and Dwight Howard received votes but did not make it to the All-Star team. 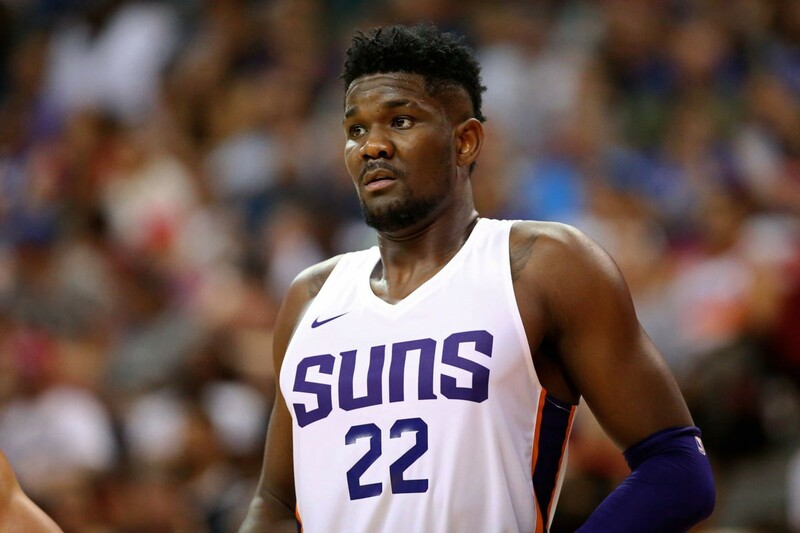 If Ayton could average 18 points and 12 rebounds per game during the course of the first half of the season, it would be hard for anyone to ignore Ayton an possibly leave him out of the All-Star Game. Even if he doesn't make the All-Star team, he could follow the footsteps of teammates Devin Booker, Marquese Chriss and big men Kristaps Porzingis and Karl Anthony Towns to play in the Rising Stars Challenge. Ayton will also be playing for Rookie of the Year as well as a spot on the All-Rookie Team.